Welcome to our summer vacation at the wonderful Strandhem! Strandhem is a community association located in Bunkeflostrand, Malmö. Here we have less than 500 meters to the sea and a bathing pier with long bottom sandy bottom. There is also a cozy playground, soccer field, boule court, basketball court, tennis court and wonderful walking areas. Along the sea and the hills, you can walk to the Öresundsbrofästet. You can easily reach the beach in Klagshamn or Sibbarp by bike or car. 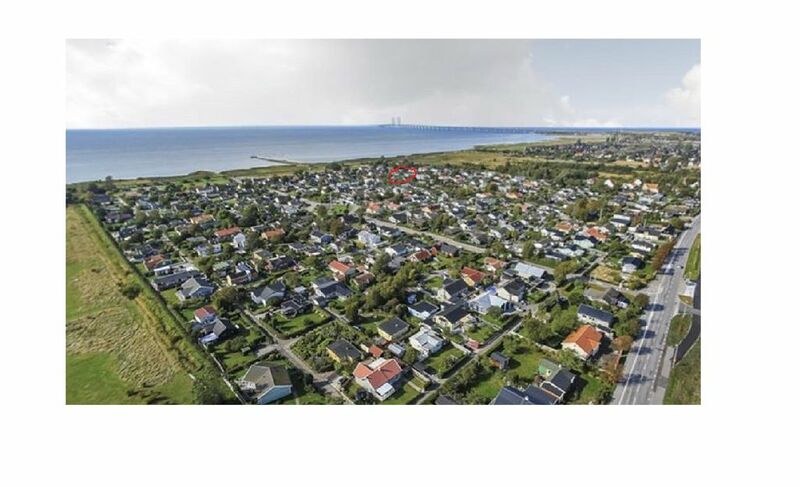 There is also bicycle distance to Limhamn where you will find shops, restaurants, bars, shopping and a cozy little port area. Two different buses are located about 600 meters from the house, which takes you to central Malmö or Hyllie, where the shopping center Emporia, Malmö Arena and the train to Copenhagen are located. Our house is 110 sqm and was completely completed in 2017. It is a bright and cozy house where you meet directly in front of the front door of a spacious hall with plenty of hangouts. With open plan living in the kitchen / dining room / living room, it automatically becomes the heart of the house and the obvious meeting place. From the kitchen, which has large bench areas, you have a view of the rest of the family / guests while you cook and cook. Around the dining table there is room for at least 8 people. In the living area there is a large sofa with plenty of space for 5-6 people (where one person can sleep well at night) as well as a smart TV with various streaming services. In the large bathroom there are two sinks, a shower, a toilet and a bathtub. There is also a guest-toilet between the bedrooms. 1 day bed where it can either be used with double mattresses (80 cm wide) or extended to 160 cm. The stretches are best for children because the mattresses are not too thick. A bed of 160 cm. Adjacent to the house and the patio doors are two patios. A patio with lounge area and a dining table with seating for at least 6 people with a lovely evening sun. Laundry room with washing machine, tumble dryer and laundry facilities are available. Due to allergies, both dogs and cats have stayed in the house.